Matilda The Hun, Mountain Fiji, and how the Gorgeous Ladies Of Wrestling showed me how big, bold and badass I could be. There’s a Netflix series called “GLOW” inspired by the 1980s pro wrestling series of the same name. When I was a kid in rural New Brunswick watching pro-wrestling was HUGE. It was such a big part of my exposure to professional sport that the very first time Sam asked me to write for this blog I wanted to write about it. But this is a feminist blog and pro/wrestling then and now is full to the brim with racism and sexism. I was embarrassed by how something I loved so much now seemed crude, crass, and low class. Pro-wrestling is nothing like Olympic style wrestling. It is all swagger and showmanship. It is character and plot arcs with a dash of athleticism. My absolute favourite characters from G.L.O.W. were Matilda the Hun and Mountain Fiji. They were large and in charge. They were villains and gave absolutely no fucks. None. They whipped the crowd into a fury then pummeled their opponents. I watched this clip, cringing at the terrible sexism and bad acting of the skits between the wrestling bits, but LOOK AT THESE WOMEN! I look at that match and I’m so conflicted. Knowing what I know now about race, class, gender and sexism there are so many problems. From the male gaze to how women were cast based on racial stereotypes to reinforcing that feminity was desirable there is so much yuck. 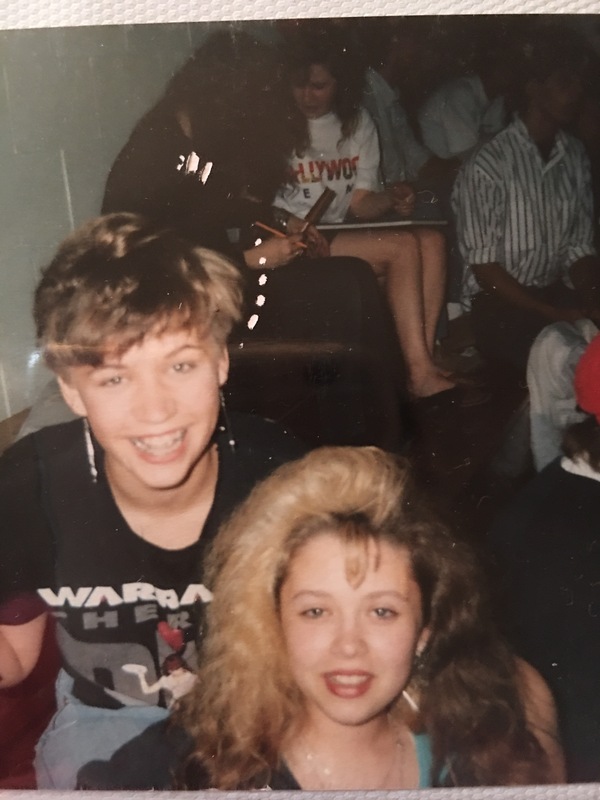 But to 1980s me all I saw were badass women doing whatever they wanted. In the meantime I was in middle school gym class where girls were learning gymnastics and boys were learning Olympic style wrestling. 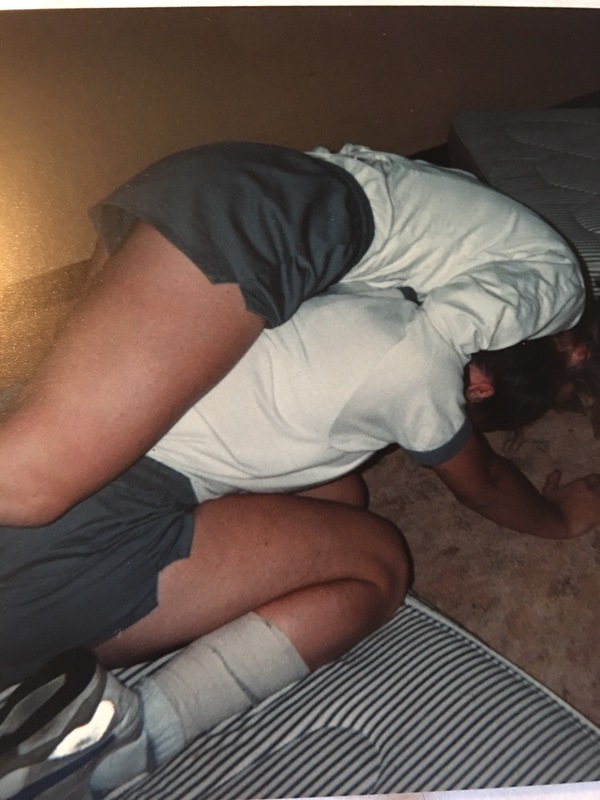 I’m not sure which of us came up with the idea but my BFF Shelly and I convinced our gym teacher that we should be given a chance to wrestle each other. We wanted to be up on stage with the boys and I was really failing at uneven parallel bars. Our teacher and classmates were completely unprepared for what happened next. Shelly and I broke out our best Gorgeous Ladies Of Wrestling moves: close lining, yelling, half-Nelsoning for nearly 20 minutes. We revelled in our redneck, working class awesomeness as the middle class kids looked disgusted. The other working class kids were cheering us on, calling out moves. It was so much fun. The next week I was back on the parallel bars trying to make my short, thick body do things lighter people did. It sucked. The girls who had taken gymnastics outside of school whirled around me. It turned out all that wrestling came in handy during recruit term at Royal Military College. Mattress jousting to entertain the senior students often devolved into grappling. I think I’m the one on top? Matilda the Hun and Mountain Fiji were characters who didn’t worry about being attractive to men. They revelled in being villains. They weren’t scared of the crowd’s jeers, it powered them up. Most importantly for me, for a period of about 10 years of my life they were the only women in sport I could relate to, that felt real. I’m hopeful this new series will also be a chance to talk about the original G.L.O.W. stars and what they are doing now. Is there a sport or athlete that you identified with in your youth? Does it hold up to your scrutiny now? I’d love to hear your thoughts. Previous Post Weekend Riding Plans: How about 150 km on Canada’s Day 150th Birthday?